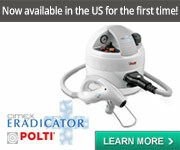 Tormented by bed bugs in TORONTO?? Help! I do not own a packtite, and dryer would ruin my work clothes! Treating bed bugs in your home via bed bug extermination is only half of what is necessary to eliminate bed bugs from you LIFE! People in Toronto have access to a great company called Bugs 'R' Gone Laundry Service. Bugs 'R' Gone Laundry is based in Toronto and serves the entire Toronto area. They use proven products and procedures to eliminate bed bugs from all clothing, linens and bedding so that when your exterminator is done, you don't reinfest your home with your clothing. 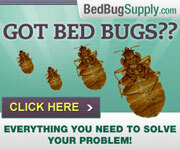 Anyone suffering from a bed bug infestation in Toronto should call Bugs 'R' Gone Laundry! Here's the deal, Danno: advertising via posts in the forums is against the Terms and Conditions of use. There is advertising on the site, but not in posts. You obviously work for or run this business, and it does not sound like a bad idea, but please do not discuss it in the third person as if you are not connected with "them." I am leaving this post up (at my discretion) as an aid to Toronto residents who may be looking for it. Please do not do this again, or I will bill you, and your account will be blocked. If you want to talk bed bugs, or explain your methods (without pushing your service) in this thread, we are happy to have you join in as a participant in our discussions. If I saw you were pretending to be a "pilot," I so would not have left this post up. No harm intended - Please accept my apologies if I violated the terms by putting this post on this thread. You are right. I am affiliated with this company and, in fact, I am an airline pilot based here in Toronto. I fly the Boeing 737 for a major airline here in Canada and my entire (adult) life has been spent pretty much in hotel rooms - many of which had bed bugs in them. I developed some pretty crafty ways of making sure that I never brought them back home with me. I've never brought bed bugs back home with me but I've seen them in hotels all over the world in my travels as a pilot. I've also councilled many a crew member who has contracted bed bugs. In fact, that's what gave me the idea to start Bugs 'R' Gone Laundry in the first place. I'm glad that I did as we now help hundreds of people with this horrible problem each year and it's a genuinely good feeling that comes with helping people through a tough time that makes it worthwhile. Again, please accept my apology for the incorrect section of my post and please also feel free to contact me via the email on our site (so it's confidential) and I'll be happy to verify everything that I've said - including my ownership of my company and my qualifications as a pilot. 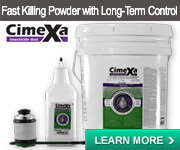 I think advertising on your site is a wonderful idea! Please let me know how I could do that. Hi Danno, I apologize for doubting your flight credentials. We get a LOT of people parading through pretending to be "happy customers...". I really like your site! Lots of great information and you're really helping people. We've found that our 'bed bug' customers don't just need help with getting rid of the bed bugs, we very often find ourselves councelling them and giving them a sympathetic ear too. I'll give you an example; a new customer that calls our main toll free line looking for 'regular' wash and fold laundry service spends about 10 minutes (tops) asking a few focused questions on price, procedure and the like when placing an order with us. Whereas our 'specialty' (read bed bugs) customer doesn't just need the practical information (that's very important too of course) but they also need someone to talk to about their experience and how hard it has made their life. Those calls often turn into 30 minute (or more) conversations about things you couldn't imagine! It takes a very special person to sooth the nerves of someone going through a bed bug infestation and, recognizing this, I only let one very special person in my company talk to our 'specialty' customers. She really connects with people and genuinely cares about them. This comes through (even on the phone) and my 'special' employee very often ends up becoming friends with our customers long after our 'business' is done. I must say, that human connection is something I never thought would become so integrated into a business such as mine but I'm so glad that it has. After all, business is important (we all have to pay our bills) but we must never allow that to trump who we are. And, I believe that despite our ever more automated lifestyles, most people are still looking for that personal connection to someone who does what they say they will and genuinely cares about making them happy. Yes, it is becoming harder to find but it's still out there, sometimes one simply has to look a little harder to find it. Maybe you can tell us a bit more about your procedures. 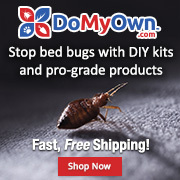 How do you keep bed bugs from spreading from the infested bags which come in, in the time between when they come in the door, and when the items are safely washed and dried? And d you take any precautions generally, seeing as some of your "regular" customers (ones without bed bugs) may actually have bed bugs and have no idea? 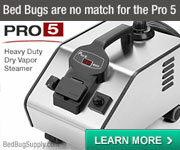 How do you keep them from bringing bed bugs into your store? Are they required to bring items in sealed in bags as if they did have bed bugs? Or can they just walk in with a cloth laundry bag? I used to use a "regular" wash and fold service on occasion but gave it up because I was concerned about bed bugs spreading in normal laundry services, since many people either don't know to take precautions when they have bed bugs, or they simply don't know they have bed bugs. And I am talking about the customers now, who remain a factor even if the staff are totally on board with the bed bug problem (which I doubt my local wash and fold was). Great question! I'm so glad that you asked about that. First, let me explain that it starts with what we refer to as 'Risk Management' and the procedures that go along with that. We refer to it as "RMP" or 'Risk Management Protocol'. You should understand that I treat my business as though I'm in command of a jet, no differently - and it really works. Let me explain; When it comes to flying, the only way to ensure 100% that you won't have an accident is simply not to fly at all - this is obviously not an option as the 'job' has to get done. So, by accepting that, we accept that there will be risks involved in doing that. The trick is to identify those risks and establish procedures to mitigate or manage them so as to reduce, as much as possible, the potential for failure. The same applies to bed bug eradication in our laundry busines. The primary risk associated with processing this type of laundry is two fold. One must ensure that the laundry is rendered free of the infestation while ensuring that there is no 'cross contamination' with other laundry, employees, the plant itself and parts of the infested order that has already been sanitized. Now, it would take way too much of your blog for me to explain the finite details of every part of our RMP here but let me give you a brief synopsis of how we mitigate the above risks. RMP starts right from the initial conversation that our employee has with our new customer. In addition to other things, the customer is instructed to 'double bag' each bag of infested laundry prior to the arrival of our driver. In detail, the customer is instructed on how to 'bag' the articles - seal the first bag and place that bag upside down into another and seal that one etc. . Upon arrival at the customers' residence our driver inspects the 'package' that our customer has prepared and ensures that it has been done correctly. Our driver (equipped with our own special, thick plastic bags) then puts the customers' bags into our bags and seals each and every one of them. So, what you have now is a triple bagged order (sometimes with as much as 15-20 bags total) that is now ready to be put into our vehicle. By following this procedure, we have mitigated the risk of contaminating our delivery vehicle. Upon arrival back at our plant, the triple bagged articles are brought down to a special section in one of our basements that has been specifically prepared to process this laundry. Without going into every detail, some of what makes this 'special' is that the area is cordonned off from all others, the floor and walls are painted bright white (to identify any bed bugs that may escape the area) and no other laundry - of any kind is permitted to be in that basement - ever. The Grey order is broken open directly into designated bins for sorting. These bins are never used for anything but this type of order. After sorting, the 'grey' laundry as we call it, is placed directly into designated commercial washers for treatment (involving a pre-soak with a special product before the actual wash even begins). The initial 'sort bins' are then sanitized (sprayed with our enzymatic product) and returned to their designated positions not to be used again for that order. This entire area treated with an enzymatic product daily. After washing, the order is dryed in our commercial dryers (computerized) and set to 180 degrees F. for a minimum of 40 minutes. The computerized dryers maintain the set temperature +/- 10 degrees F. The laundry is still not considered 'white' just yet however. Each machine used for this order is completely sanitized after its use. Now, there is more that we do but in the interest of keeping this post to less than a million words I hope that this gives you an idea of how committed we are to a successful result. The second issue that we take very seriously is that of protecting our employees. I view my employees no differently than how I view my crew when I'm flying. It is my responsibility to make absolutely sure that they are safe - no excuses! I do this by having them wear 'PPE' or Personal Protection Equipment'. Many years ago, when I was a young pilot I flew for the government here in Canada. My primary duties as a 21 year old pilot was as a 'MedEvac' pilot. We were trained on how to protect ourselves from being exposed to various diseases and pathogens (blood-borne, airborne). I outfit my employees with PPE that consists of disposable medical 'smocks', surgical gloves and shoe-booties. A 'splash-screen' is not required for this type of process as we do not use dangerous chemicals. This PPE is disposed of after order is processed but before the final inspection. Double bagged, again to mitigate the risk of cross-contamination. So, what you get in the end is bed bug free laundry, a happy customer, safe employees and a clean working environment. Thanks for going into this much detail. Do you ask all of your "regular" customers to follow the exact same procedure, or only those customers who have bed bugs? Are the same precautions taken with "regular" laundry? 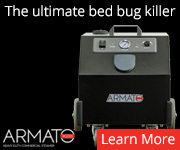 The reason I ask is, again, many people in cities like Toronto have bed bugs and do not know it. Bed bugs can enter your shop via anyone's laundry, and may be processed in the rooms you use for "regular" laundry as well as infested laundry. Yes, I see where you're going with that. Precautions are taken with 'regular' laundry orders to the exent that each and every order is segregated from any other - 100%. Actually, this fact is something that we advertise because not all 'wash and fold' operations do that! I find that fact disgusting! In fact, did you know that when you send your 'wash and fold' laundry to a dry cleaner (we're not a dry cleaner) they wash it with up to FIVE other orders in the same machine?! Most people do not know this until we bring it to their attention. We regularily invite people to come to our plant and see for themselves because we are very proud of what we do there. Now, our service a bit more expensive than others but you can see why. The 'specialty' area is not used on a 'regular' order but each machine and the area(s) in which the 'regular' orders are processed are sanitized before and after each order is processed. This, in addition to simply practicing sound hygienic procedures, serves to reduce the likelyhood of a cross contamination issues arising should a 'regular' order turn out to be infested. As the articles of a 'regular' order are being folded they are checked for a number of things and , although it hasn't happened to date, the likelyhood of spotting a bug is quite good should that ever occur. In addition, it is simply good business practice to ensure that this would never happen; Can you imagine how bad it would be if we picked up an executive's laundry and brought it back to him/her contaminated with bed bugs? Game over! This would be worse than almost anything I could imagine for my business. So, the name of the game is diligence! We spray the working areas of our plant regularily with cleaners, including our enzymatic product and not just where people would be likely to see. Underneath countertops, in hidden crevaces and behind machines are just a few of the places you'll see my guys cleaning. I guess you could say I'm a bit of a clean freak and I expect my people to be the same. Anyone who doesn't buy into that is let go in short order. As I said earlier, I run my operation like it's jet - there is very little room for error and I simply do not stand for 'it's good enough'. I've been criticized for that (usually by an employee that doesn't want to be like that) but our success speaks for itself. It's a good formula and it works. Thanks, Danno. It does sound like you're offering a unique service. I won't tell you how most neighborhood wash and fold services here in NYC do it. But the standard seems to be cloth bags of stuff, incoming right next to outgoing. They use the same folding tables at the same time as self-service clients. Once I discovered bed bugs, it did not take long for me to decide this is all a bad scene. Yes... that's why we only use heavy plastic bags for all of our wash and fold. It's not eco-friendly but in this case public health trumps eco. Anything else would be irresponsible. I'll tell you how the dry cleaners wash multiple orders simultaneously - This is an industry secret that is kept very close to the cuff of those involved. For obvious reasons they don't want people to know about this. They do it in one of two ways, both wholly inappropriate and frankly, disgusting! The first and most common way they do it is by using a commercial 'wet' machine and simply mesh-bagging orders unto themselves and putting multiple mesh bags into one washer. Can you imagine having your clothes washed with someone else's that way?! Just the thought makes me sick! The other crafty little way that those guys do it is by utilizing their dry cleaning machines that are constructed with one very large drum that has multiple metal compartments in it that have very tiny holes in each compartment to let the solvent permiate the clothing. This way, one dry cleaning 'cycle' can produce multiple orders for them. They do this to save money, and save money it does! They can run one 'cycle' and complete up to 5 orders in the same time as it takes us (who do it correctly!) to do only one. I could quadruple my profits by doing that but I never would! My reputation is simply too important to me to do that and it's just plain wrong. At the risk of sounding altruisic, at the end of the day one must be proud of what they do and playing it straight is the only way to accomplish that. Interesting idea, laundromats used to be very social places in the past and I suspect this type of service will bring that back. If you have space I would love to send you some laminates for the notice board about bed bugs and how people can avoid them when travelling. If you want to put them up I will also send you a copy of the new book called bed bug beware that should be back from the printers in about 2 weeks so that people have something to read as they watch their smalls go around. I can't express how much I recommend these guys - they were knowledgeable, friendly and very aware of the fact that their customers are going through a hell of a time. VERY much appreciated! Welcome to the board. Looks like this is your first post. Bugs R Gone appears to operate out of "Royal Forest Laundry". That's a Laundromat/Wash-Fold in TO. Royal Forest's website and Bugs R Gone offer pretty much the same service. How, in particular did Royal Forest/BugsRGone help you? What else are you doing for treatment? Do they charge more than regular wash and fold (which appears to be their main line of business)? How did you find out that you had a BB problem? Best of luck. It is just what I was looking for to reveal to anyone who wants to ask questions about using Laundromats if one has bed bugs. 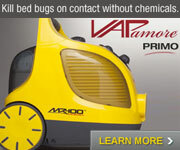 Or for anyone who wants to know if you might get bed bugs from such an establishment. I think it was pretty obvious that they are not a good idea as so many different peoples clothes get mixed up or handled in close proximity to each other. Going from my experiences with local 'Mats clothes never get washed for too long and the heaters do not get hot enough. 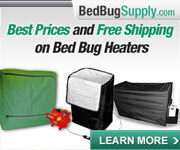 Bed bugs are tough and if the heat doesn't destroy the clothes I dont believe it will destroy the bug. My locals' driers are sometimes running when faulty, so never get hot enough to properly dry thick items. So the bugs are still raring to go when they are removed from the dryer. Its just a Holiday for them in Thailand during the Monsoon. This jet guy seems to have thought of everything, except that a lot of the small bugs are white, so dark surfaces would be more helpful than light ones. But he seems to have taken the problem real seriously, which is good. I just hope his employees are as fundamentalist about bugs as he is. The strength of any chain is determined by the weakest link. Oh yeah, living with Bed Bugs.